Back in January at the Shot Show in Las Vegas, I met with Al Kasper and Paul Furrier from Vista Outdoor. Al Kasper is the President of Savage Arms and can be found accepting the Distinguished Citizen Award from the Western Massachusetts Council of the Boy Scouts of America, several “Golden Bullseye” awards, and so forth. I have no idea where Al keeps all that stuff: people must chase him with magnets these days. Al Kasper served as President and Chief Operating Officer of Savage Sports Corporation from 2001-2013 and is now President of Firearms for Vista Outdoor Inc. Paul Furrier has been the chief engineer for Alliant Powder for many years and is now Chief Engineer of Propellants for Vista Outdoor where he continues to work his ballistical and sometimes mystical magic. I'd like to watch Paul go through airport security, just to hear his answer when the TSA asks him if he has ever been in the proximity of energetic, flammable substances. I griped a wee tiny bit, in my normal quiet and timid way, about the lack of factory Savage breech plugs for 10ML-II customers that need them. Thanks to Savage, factory 10ML-II breechplugs and ventliners are now available. I also carped a bit about current Savage 10ML-II factory loads, as some of the previous Savage propellants are discontinued, very hard to get, or have poor distribution. I won't list all of the loads here, Savage Arms will publish them in due course, but I will mention my favorites with 300 grain saboted projectiles. Vihtavuori N120, Max Charge 60 grains by weight, 2305 fps. Accurate 2015, Max Charge 75 grains by weight, 2173 fps. 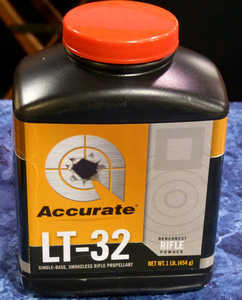 Accurate LT-32, Max Charge 75 grains by weight, 2283 fps. These velocities were all recorded from a factory Savage 10ML-II by the Vista Team. I've used N120 for many, many years, and it has always been a favorite. Availability has been mixed, though, but as of this writing, it is available. Accurate LT-32 is the most interesting of these three propellants. Four years ago I discussed a variety of 10ML-II propellants at http://www.randywakeman.com/Savage10MLMuzzleloadingPowderChoices2014.htm , finishing with “The two most appropriate propellants generally available are Alliant Reloder 7 and Accurate 5744, shown above. The two most promising propellants for the future are Accurate LT-32 and Norma 200.” I also wrote a bit about LT-32: http://www.randywakeman.com/TheBestSavage10MLPowderEver.htm . As the 10ML-II was discontinued since 2012, there was no motivation for me to continue with load development and no interest or support from Savage Arms at that time. Back then, I commented, “Accurate LT-32 is a related propellant to Accurate 2015, but cleaner, more consistent, and with better ignition characteristics compared to 2015. It has a faster relative burn rate, 5% faster, so that means LOWER charge weights than you would use with 2015. 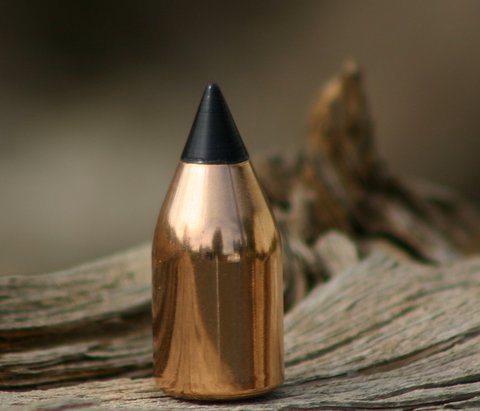 Savage allows a 300 grain saboted bullet weight as the heaviest bullet you can use. To get good velocity with 2015, you have to burn a lot of it. One lot of Accurate 2015 (Czech mfg.) produced an average velocity of 2194 fps at 15 feet with 70 grains by weight pushing the 300 grain Parker Match / Hunter. So, at one time, the only Savage-recommended propellant you could get was 5744, but thankfully that is no longer the case: Savage 10ML-II owners now have more factory authorized propellants to choose from than ever before. Note that the new Savage-recommended loads listed above are MAXIMUM loads: you always start with a reduced load and work up, for the best accuracy. Sabots vary by strength and also by lot. The normal small variation in bore sizes affect the way sabots flow into the rifling and seal. For N120, 57 grains by weight with a 300 grain bullet is a good starting load. I've settled on 59 grains by weight in my rifles using 300 grain Parker Ballistic Extremes (shown above) or 300 grain Parker Match Hunters. For LT-32, 71 grains by weight is a good starting load with 300 grain projectiles. Thanks to Paul Furrier and Al Kasper for the new, verified information, and for thinking of the many Savage 10ML-II fans out here. Please only load your Savage 10ML-II once, please use a Witness Mark on your ramrod to eliminate bench errors, and please remove your ramrod from the barrel before firing.